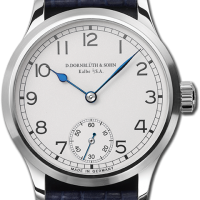 Dornblueth is a German watchmanufacture in Kalbe (a.d. Milde) in Saxony in Germany. Watches are made the oldfashioned way with a lot of handwork and inhouse work. 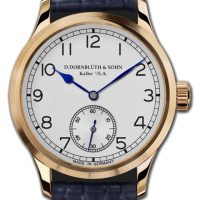 In general, it is safe to say that over 65% of a Dornblueth watch is made inhouse. The watches are inspired by history deck watches. 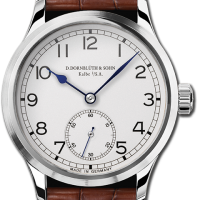 The company was founded by father (Dieter Dornblüth) and son (Dirk Dornblüth) who are both highly talented oldschool watchmakers. 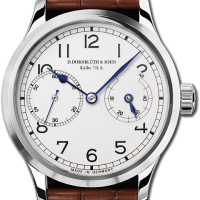 They started in 2002, however, the design of their watches goes back to 1962 when the father had his first thoughts of his own watch and created his first own designs. It took another 40 years until this should become a reality. Nowadays, Dornblueth is a successful international operation delivering about 30% of their production to Europe, another 30% to Asia and 30% to the US. For people who love to get their personal and personalized timepiece, Dornblueth creates timepieces incorporating your personal wishes. For more information, do not hesitate to contact us. We arrange tours to Kalbe to visit the manufacture as well. Please inquire.